Sometimes, just sometimes, you could do with a little less talent. If you are too good, too soon in your career, you might never improve your status, because you’re already at the top. 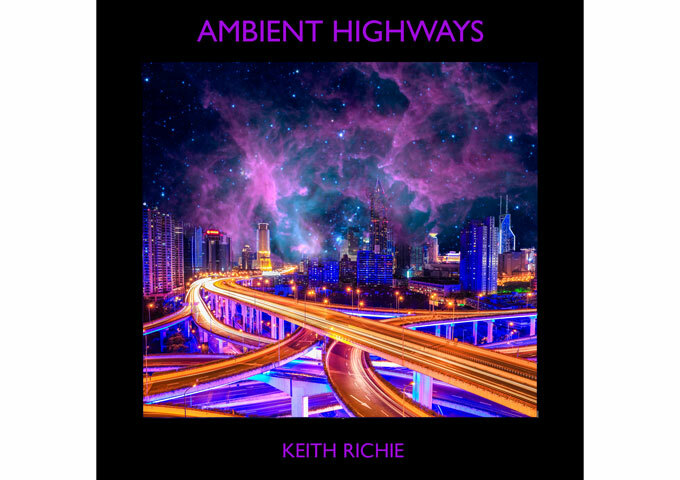 That’s the first thing that came to mind when I listened to “Ambient Highways” by electronic artist Keith Richie. It was the ‘electronic’ part that fooled me. I was convinced that Richie was one of those whizz-kid upstarts so able at turning a laptop into a symphony orchestra. However I was saved from certain humiliation by Keith Richie’s bio information. Mr. Richie has gone through a few decades, becoming obsessed with electronic music in the early 80’s by being exposed to the music of John Carpenter, and later Tangerine Dream. Additional major influences include Carbon Based Lifeforms, Enya, Deep Forest, Kraftwerk, Vangelis, and Christopher Franke. 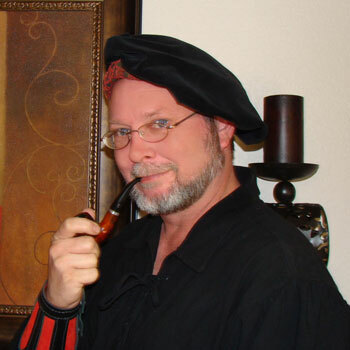 Most of his work reflects those major influences. Keith’s style is mostly Ambient, Symphonic Electronica, and Soundtrack, so in a way I wasn’t too far off the mark by thinking he was able to “turn a laptop into a symphony orchestra”, it’s just that his more world-weary and it shines through the music on “Ambient Highways”. This is a collection of nine pieces of transcendental music all set within an indescribable atmosphere; but they can also been seen as one long track, for every piece of ‘audio landscape’ that is being produced smoothly connects with the next one. They flow over into one another. They come to be they exist and then drown into the next one. Yet each and every song arrangement is totally different from the before or the one thereafter. Keith Richie combines his ambient music with cinematic soundscapes that together provide a collective meditative experience connecting with your deepest inner feelings. From the playful sounding opening, Neutrino, to the highlights of the album, it’s title track, Ambient Highways and the desolate Arctic Shores in which the outstretched polar landscapes seems to surround you completely. It’s all hauntingly beautiful and sonically moving. Diverging from the “ambient house” or beat- oriented material that first came to mind on reading the title, the musical concept of “Ambient Highways” is primarily composed of gentle waves of electronic sounds, organized in engulfing soundscapes with a compositional simplicity similar that will connect with many listeners. The delicate layers of musical reflection that characterize each segment with the beautiful touches of keyboard elegance, produce ambient phases of both terrestrial and universal nature. The music creates a highly ‘visual’ and hypnotic experience achieving an inner clarity of thought processes transporting the listener to a level of serene contemplation. These songs use a soothing and subtle harmonic texturing of sounds in the intention of establishing a central mood carefully enriched through delicate rises in tone, with perfectly sequenced breakdowns. Cases in point – V Feeling and Dew From The Mourning Star. All which lead me to believe that Keith Richie’s final artistic destination should be film soundtracks. It is quite remarkable how through his arrangements and thoughtful application of the constructive elements of each track, he is able to flesh out one single idea, turning it into an astonishing experience of exploration and discovery, on so many levels. The stuff blockbuster movies are made of! Caramel Snow: “Befallen” – a tapestry of textures that span the aural senses from dark to light!